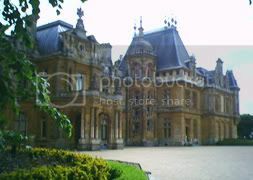 Took my Aunt and the kids out to visit Waddesdon Manor. It's a stunning Renaissance-style chateau built by Baron Ferndinand de Rothschild in 1874 and still filled with a fabulous collection of furniture, porcelain and other decorative arts. It's a definitive example of opulence. To get in, I went ahead and purchased a family membership to the National Trust so we'll be visiting more of these grand houses. 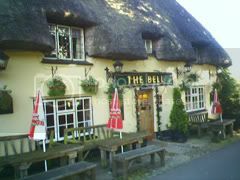 On the way home, my out-of-date but trusty "Good Pub Guide" recommended "The Bell" in Chearsley so we dropped by and had dinner. The recommendation is well deserved. It's an archetypal country pub that's friendly and serves good homely food. The garden is perfect for young children.